Hello! 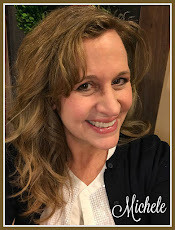 My name is Terri and I blog at Our Good Life. I was fortunate to be asked to share our summer décor with you here at our home in Missouri. Let me tell you a little about it and our neighborhood. We live in a new urbanist neighborhood called New Town Saint Charles. The thinking behind this style of neighborhood is going back to the days when you walked everywhere, knew your neighbors well, and shopped where you lived. New Town has mixed dwellings, live-and-work units (business downstairs, home upstairs), multi family home, row homes, town homes and of course, single family homes. All the home designs came from either St. Charles itself, or areas such as New Orleans, where the architecture has a unique flavor. Our home is a Pawtucket, reminiscent of a blend of beach cottage and craftsman style. Our porch wraps around the side of our home, and it nearly hugs the sidewalks, as all New Town homes do, so you can talk to your neighbors as they walk/jog/golf cart by. Our porch overlooks a quaint lake that is home to herons, geese, ducks, rabbits, an occasional deer and a coyote or two. The lake gives us countless moments of pleasure, watching in in calm, stormy and seeing the sun reflected on it. Such a beautiful place to enjoy our coffee in the morning, lemonade at lunch and wine in the evening. In the summer we replace the darker pillows with those of bright summer hues of blue and yellow. The lanterns come out with candles that come on automatically at sunset and linger until around midnight. As you walk into our home, you will see an open concept house, living room, kitchen and dining room open to each other. It makes for great conversation while cooking or entertaining. As usual, the kitchen tends to be the heart of our home. Our summer décor is highlighting the American celebrations of Memorial Day, Flag Day and the Fourth of July. The blue and white theme of the living room with the pops of red really have us feeling patriotic, along with the flag pillow on the sofa and the Freedom banner on the fireplace. In the built ins you can see our collection of seashells that we have displayed. We make our little mini bar on this side of the built ins. The barrister cabinet to the left was made by my grandpa. I love seashells, don't you? The two large ones we caught in the ocean, in the Bahamas in the 1980s. We label where we got our collection just for fun! This cabinet was the first piece of furniture my mom and dad purchased after they were married. I recently gave it an update with the cream colored milk paint. The photo is of my two dogs. The poster above the table is of New Town's Tenth Anniversary and was created by one of our neighbors. The kitchen is small but very efficient. Our stove has a double oven and five burners. The vent hood keeps the air quality high so that the whole house doesn't smell like whatever you are cooking! The island if very functional as our breakfast bar. You can see an additional overhang of a breakfast bar in our living room. This was a mistake made by the builder but we decided we liked it well enough to keep it. My husband and I love to cook and bake. My blog has mostly food adventures: cooking, baking, restaurant reviews, bbqing... we love it all! This is dinner tonight: smoked chicken thighs and a lemon confetti bundt cake. In the summer it's all about outdoor cooking and anything with lemon! Our dining area gets the summer look with burlap on the windows and as the runner on the dining room table. We adore the rug with the bright colors all year! The painting above the window was done by an artist who was in rock and roll bands, he used old records and CDs to make the painting. My husband is a drummer, this painting just reached out and grabbed him! Our bedroom is done in cool seaside colors. Sand and water! The pillow on the bed is our anniversary. The art was purchased locally during art shows in our historical town. Did you notice the Westie pillow on the chair? You haven't met Wilson as of yet, but you will! During the summer our outdoor space gets so much use. We have created various areas in our tiny backyard. You will see the living space, an outdoor kitchen, an outdoor dining room, and a space for lounging in the sun. The firepit is perfect for summer evenings to roast marshmallows for s'mores. I always have the fixings ready and available! Do you see Wilson lounging in the lounge area? He's our Westie! We have another dog, Truman, who is much too shy to allow his photo to be taken! I hope you have enjoyed the tour of our home in New Town. Thank you, Michele, for including me in your tour of wonderful summer homes. You are most welcome to come over for some lemonade and a visit! I'm so happy to have you Terri, the tour was wonderful! Don't you think so everyone? I can imagine finding relief after a hot day of work or activities with the cool air inside while catching the scent of delicious food cooking to relieve my hungry stomache. I can't lie that I'm envious of that patio. I can just picture wonderful parties out there with a barbeque and marshmallow roasting in that amazing fire pit. How inviting it all is! Now head on over to Terri's blog for some tantalizing recipes, the hardest part will be deciding what to make first. I enjoyed Terry's post very much and I will be following her. Great blog, thanks so much for this great party..
Oh, Mary, thank you! I cannot wait to meet you and get to know you better! So summery; thanks for sharing! Michele, thank you so much for featuring our home in your Summer Homes Tour. I had a fabulous time! Ok...all I can say is this house seems SO FUN and full of eye candy. I can see myself settling into any one of these little areas and enjoying good conversation paired with the beautiful surroundings. Well done! I hope you have a great summer! I absolutely love everything about this house, inside and out. It is beautiful & I could see myself moving right in! Thanks for sharing!